It’s cabana time at The Westin Beach Resort & Spa, Fort Lauderdale (with 432 guestrooms), and these aren’t just any old cabanas—these feast-for-the-eyes, poolside cabanas not only rock, they also give back to the community and help clients enjoy a day at the pool in the lap of luxury. We savored the sweet life at these cabanas on a beautiful day this past month, delighting in The Guy Harvey Ocean Foundation cabana (the one closest to the oceanfront on the hotel’s pool deck), enjoying the culinary treats from the Waves Bar & Grill (one of three onsite restaurants), and luxuriating with cool drinks in hand on the two chaise lounges that are draped in sunshine and set in front of the cabana. Oh, and the flat-screen TV isn’t bad either, although with the fabulous ocean views, the TV was just a “side dish,” so to speak. 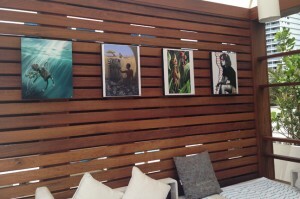 The Guy Harvey cabana (above) features serene Guy Harvey images of sea turtles, including “Lone Ranger,” “Shades of Grey” and “Hawksbill Caravan”; these pieces were chosen specifically because they emphasize the importance of Fort Lauderdale Beach to the survival of these majestic creatures. Clients who rent the Guy Harvey cabana will be contributing to the organization’s overall goal of funding critical marine science research and education. 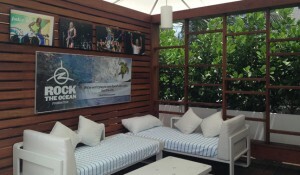 Jostling for attention next door is The Rock the Ocean Foundation cabana, with a design that features images and memorabilia from past festivals, including a signature framed guitar. The foundation itself hosts the Tortuga Music Festival in Fort Lauderdale, which helps educate the public on marine conservation. Those who book this cabana now through the end of the year will be entered to win a trip to next year’s Tortuga Music Festival in April, including airfare, 2-night accommodations at the Westin, and tickets to the festival. 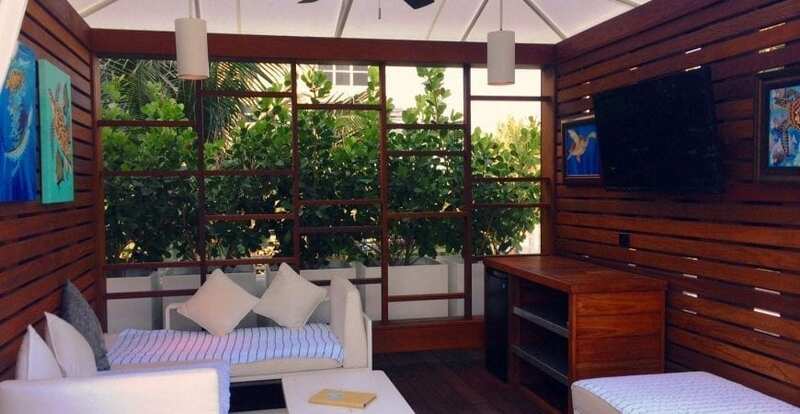 Art aficionados are going to love the third cabana which displays works by students at The Art Institute of Fort Lauderdale, a local design school for students pursuing a design, fashion, media or culinary arts education. In addition to benefiting the school, a portion of the fee will be shared with the recognized students to help continue their studies. The cabana’s design will change regularly to display a variety of work each semester. The property offers several packages, including Vacation like a VIP, with rates from $219 per night. 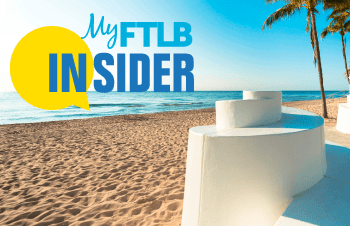 It includes $100 resort credit; complimentary valet parking; $25 American Express Gift Card; room upgrade to the next available type; summer savings booklet with exclusive offers and discounts. Available through Sept. 30; 2-night minimum stay. Mention rate plan VACVIP14. The lowest room rate in July starts at $97. For more information, call (888) 627-7108 or visit westin.com/fortlauderdalebeach.